Two of the biggest opportunities for you to improve online marketing decision making are tapping into your website analytics platform and your customer relationship management (CRM) systems. 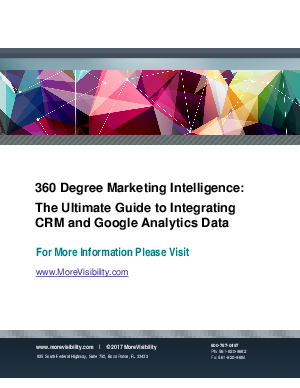 Since your analytics can help you understand website activity and behavior and your CRM gives insights into leads, lead nurturing, customer status, lifetime value, etc., marrying the two platforms can provide you a 360? understanding of how your marketing efforts are performing.